Daily Debate: Are Motions Controls That Bad Of A Thing For The Series? For years, The Legend of Zelda, using the d-pad and joysticks, was a series that had fairly simple controls. There wasn’t too much to them, and they didn’t take much effort to use. That all changed when the Wii came out, and Nintendo began to put emphasis on controlling things with motion – true, physical motion. 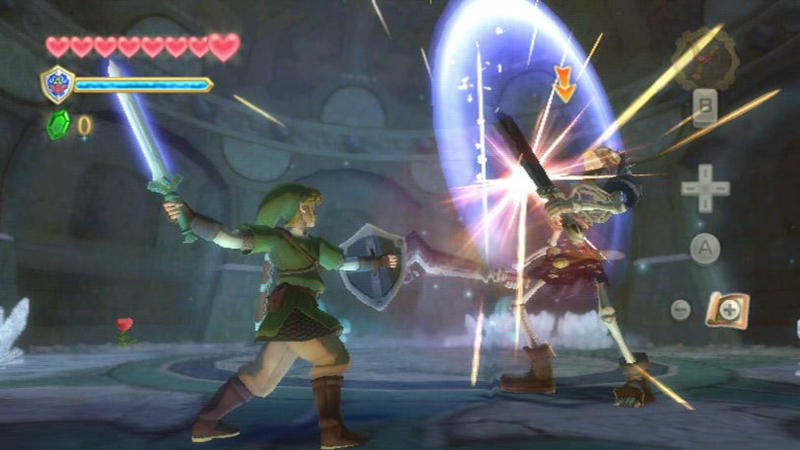 While Twilight Princess for the Wii implemented some basic motion controls, Skyward Sword truly made use of them with the combat, requiring specific motions with the Wii Remote to allow for certain sword swings in-game. While some found this mechanic to be an immersive addition, many encountered problems with this change, such as a lack of accuracy. Since then, Nintendo has returned to the standard of d-pad and joystick controls for the Zelda series. However, with the rumors of a Skyward Sword port coming to the Switch and of a new Zelda game on the horizon, it is not outside of the realm of possibility that motion controls could once again return. So, what do you think? Are motion controls that bad of a thing for the franchise? Or do they add an extra layer of immersion that the games can benefit from? Leave your thoughts and opinions in the comments below!